Inverness, 스코틀랜드의 인버네스 스튜던트 호스텔 | 호스텔월드에서 예약하세요. Loch Ness is just a few miles away so if you want to go Loch Ness Monster-spotting, Inverness is the place to stay. Inverness is a small-sized city that has plenty going on, with live music most nights and lots of restaurants and pubs to pick and choose from. The Inverness Student Hotel has a terrific outlook over the river and the city to the hills beyond. It's a cute building with real character and a fun and relaxed atmosphere. 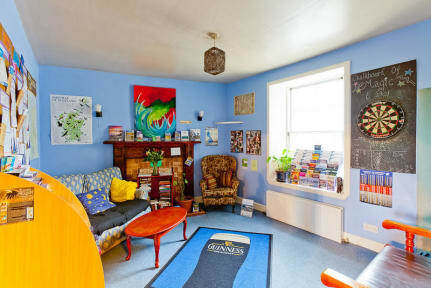 Our comfortable dormitory rooms have between 5 and 10 beds. 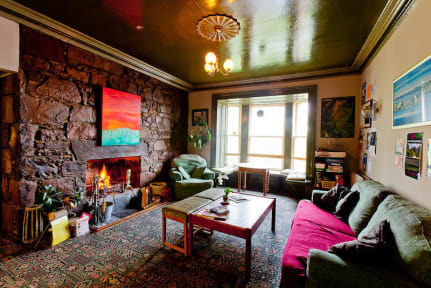 We have a spacious common room with a large open fireplace and big Victorian-style windows that offer stunning views over the River Ness. It is a great place to meet like minded travellers, whilst enjoying all the free tea, coffee and hot chocolate you can drink! The Student Hotel staff are always very friendly and approachable. We can help you book your tours, recommend places to visit and most importantly we know the hidden gems of the city to ensure you a memorable time in Inverness. We can direct you to nearby bike rental, and will send you on your way with free maps to help you discover the magnificent beauty that is....Loch Ness! If you do see Nessie, don't forget to mention that you're staying with us when you talk to the press! Also, if you are completing the Great Glen Way and need a bed to rest your weary legs then you are in luck as we are only 100m metres away from the finish line. Hurrah!! We are also only 10 minutes walk from the Train and Bus Station and a quick 5 minutes walk into the town centre. Comfortable beds including FREE bed linen & 2 pillows! You must have suitable photographic identification to stay at our hostel. Check-in starts from 2.30pm daily, and ends at 02:30am. If you think you may arrive later than 10:30pm, please let us know before making your booking. If you arrive before 2.30pm you can store your bags in our luggage storage area for free.